A Dead Island book has been announced, and will be released on the same day as the video game: 8th September 2011. The novel, a dusty old tome, is written by British author Mark Morris, who specialises in horrors and thrillers. He's written Dr Who, Hellboy and Torchwood books, as well as novels of his own such as Cinema Futura, The Deluge and Stitch. His book, Dead Island, will give "a terrifying glimpse into the horrors thrust upon the four individuals who have unwittingly embarked on the ultimate holiday from hell". The book will cost £6.99 and is published by Bantam. 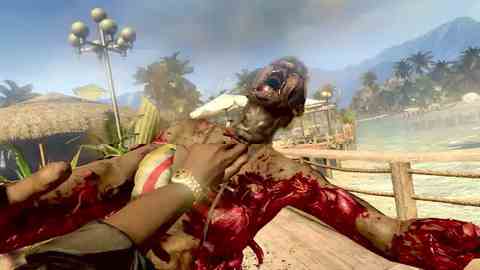 Dead Island is an open world, first-person adventure zombie survival game, as well as a loot-happy RPG. It's made by Call of Juarez developer Techland, and it shot to fame courtesy of a gruesomely handsome CGI video that showed a little girl being slung out of a window. "It's a little crass, a little off-key and a little low-budget, but it's set to be an enjoyably pulpy thrill," wrote Martin Robinson in Eurogamer's Dead Island preview. "And Dead Island's final surprise, when it launches later this summer, should be a pleasant one.